Sociologist Lucy English was so inspired by social workers she decided to write mystery novels with a strong, smart but flawed social work heroine — Penny Wade. 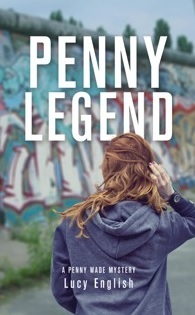 SocialWorkersSpeak.org sat down with Lucy English to talk about her motivation for writing mystery novels and her newest release “Penny Legend,” which in honor of social workers will be free on Kindle for a limited time. Q: How did you get involved with social workers? You were a professor at one time, correct? English: My first career was as a sociology professor in the Lehigh Valley of Pennsylvania. One of my roles was to supervise student internships. Each semester I would work with a dozen or more social service agencies, coordinating with social workers, probation officers, police, and prisons. I got to see how the different agencies work together in support of clients and I had an inside view of their challenges. Many of the people I met became friends. They were big-hearted, smart, and dedicated. They made personal sacrifices on a regular basis. They found ways to work long hours, volunteer outside of work, and still take care of their own families. My protagonist, Penny, is inspired by them, but not always so successful in her juggle. Q: Why did you decide to write mystery novels? English: I like the challenge of mysteries and the way that the storyline has some inherent motion toward resolving the crime. For a long time, I didn’t read mysteries because I thought I was supposed to try to solve them and I never could. Then a friend told me that solving them isn’t the point, it’s just fun to go along for the ride. After that, I fell in love with the genre. One of my influences is Robert B. Parker who, in his Spenser series, would choose an important social issue for each book, research it thoroughly and treat it thoughtfully without being preachy or heavy-handed. He was able to shine light on important issues and give his audience a glimpse of the realities faced by people in tough situations from youth gangs to prostitution, to gambling addiction. I want my books to provide a compassionate treatment of the real life challenges people face. You know? I’ve been there. I’ve struggled with lots of stuff. We all do. The more we can communicate and share our struggles the better. Penny isn’t me, but her emotions come from me. The books’ larger themes—do I need to earn the right to happiness? What does it mean to live an “ordinary life”? Those are questions I struggle with. Q: Describe your main character, the social worker. 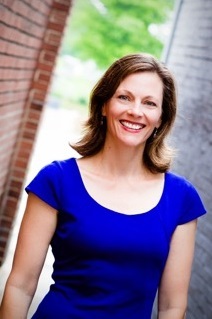 English: Penny Wade is not exactly a model social worker. She has a big heart, a quick intelligence, and enduring dedication to helping others. But Penny struggles to get it all right. In “Ruby Milk,” she is new to social work, having moved over from her previous job in juvenile probation. She is trying to figure out how to prioritize her time when there are so many demands and so many people in need. Things get out of balance in Penny’s work life because she becomes very involved in helping a teenage girl, Dani, who believes her mom was murdered. Helping Dani not only impacts the rest of Penny’s job, it also brings up some painful issues from her past and complicates her attempts to figure out her love life. Poor Penny and her love life. Readers keep describing it as “a shambles”. I didn’t think it was that bad. I’m not sure what that says about me. Q: Are you pulling from real life experiences or what you have heard from social workers when writing your books? English: I’m pulling from everywhere; life, research, and places I can’t identify. Writing is a bizarre process that takes on a life of its own. My characters seem to know the story before I do, and they go and do crazy stuff that I haven’t approved. I’ve learned to follow their lead, though, because when I rule against them I end up having to back up and re-write. When I trust the process it goes better, but can take me places I don’t want to go emotionally. A friend once told me “you have to be emotionally brave to write like that.” Well, sometimes I’d rather be emotionally cowardly, but I tend not to get my way. I’ve cried my way through a lot of scenes—most often romantic breakups. Like I said, Penny gets her emotions from my experiences. “Ruby Milk” and “Penny Legend” (the first two Penny Wade Mysteries) are available on amazon.com in Kindle and paperback formats. In honor of social workers, the Kindle version of “Penny Legend” will be free from February 19-23, http://amzn.com/B019TCW3RM. You can also learn more about Lucy English and Penny Wade Mysteries at http://www.PennyWadeMysteries.com. Q: Tell us about your new title that came out in February? English: “Penny Legend” is the story of an eight-year-old boy named Legend, who isn’t speaking. He’s been through too much trauma, he’s seen too much. He arrives at Penny’s office after his school discovers a bullet graze wound on his leg. First stop the emergency room, then a police officer takes him to Penny while police investigate. They make a connection to the murder of a drug dealer on the street outside the apartment where Legend lives with his aunt. I don’t want to spoil it, but one of the interesting challenges for Penny is to try and balance demands from the detective on the case, who wants Penny to get Legend to tell her who the shooter was, and Penny’s process with Legend who persists in his elective mutism. Penny wants to respect Legend’s healing process but doesn’t know if he knows the identity of the shooter, and thus is in danger. One of the fun writing challenges was that I had a main character who didn’t speak, so Penny and I had to learn about him through body language, play therapy, and his drawings. Q: You have called social workers heroic. Do you think the books will help educate the public about the heroic acts social workers do each day? English: Yes. My goals are to educate the public about social workers as heroes. I also want to celebrate with social workers, and to give them an entertaining protagonist to enjoy. I can’t imagine myself being as selfless and hard-working as they are, so I create my best version of the experience through Penny, who tends to fall down a lot (both literally and figuratively) just like I do. I want social workers to know that there are lots of people in the world who admire and feel indebted to them. I want to be President of their fan club. (A note: my website is undergoing revision and may not be available for a few days.) I read your interview with Lucy English with great interest. However, I believe no one can write about a social worker as well as a social worker can. I am a licensed clinical social worker and I have written the first two mystery/thriller novels (of a Trilogy) about clinical social work. The challenges of the work and the clients’ issues are actually the meat of the novels. In the first book,The Well, the social worker is the main character. In the second book, Fatal Refuge, she plays supporting actress to an Apache woman with issues steming from abuse and cultural prejudice. The plots are murder-mystery in structure, but in content they teach about mental illnesses and the experiences of people who treat them, from “psych techs” to social workers to psychiatrists. The aim of the books is to educated readers and encourage them to be more compassionate toward those who suffer from mental maladies, as well as to share with other social workers the wonderous and sometimes bizarre learning experiences they themselves may encounter. My books are available on Amazon. The Well is free. Fatal Refuge is not. I am currently working on the last of the “Arizona Thriller Trilogy” novels, titled Apache Refuge, to be released in late 2016 or early 2017. I have read both books and enjoyed them as long as I suspended my understanding of Social Work as a profession. I was unclear as to Penny’s actual qualifications. Is she a trained Social Worker or in a job with the title without Social Work training. Her lack of confidentiality and overinvolvement in her client’s life was most disturbing. As with most stories (TV or Books) these things seem to be the norm in order to make the story more exciting. I find the practice of Social Work compelling enough. I am so happy I was able to come across this interview. It’s great to see social workers and those influences by the experiences of social workers writing our stories. As a social worker for 15 years at the Connecticut Department of Children and Families, I had the opportunity to work as an ongoing treatment social worker, investigative social worker and juvenile parole officer. After a death of a child on a case the only way I was able to express myself, at the time, was through my writing. Finding this new outlet led me to write a fictional story bases on my experiences. In 2010, I published a fictional novel titled “Dutch Point.” The story explored many dimensions of abuse and neglect. It also explored the hardships, stress and challenges of working in a state run Child Protective Service Department. It is great that we all share our stories and views. They have plenty of romance and detective novels, so why not have a social workers as a main character. We should continue to support one another and encourage that more stories are told so the world can see life through our lens. It would be a great pleasure for anyone that reads this to pick up my book. You can find it on Amazon and most digital outlets. Haunted from his past and battling his inner demons, social worker Andrew Edwards goes back to work at the Department of Children and Families while still reeling from the death of his wife, Kay. His return may be premature, though, as he grapples with trauma and suicidal urges. The caseload at DCF in Hartford, Connecticut, never decreases. Each day, Edwards and his co-workers face a litany of new clients involving instances of substance abuse, child abuse and neglect, and heroin-exposed newborns. In this stress-filled job, many of the cases originate in the Dutch Point Housing Project, where illegal drug activity and crime reign. Though Edwards does his best to protect, educate, and preserve families, there is an underlying evil at work—and someone is protecting a powerful secret. “Sergeant, we have two down: one critical and one fatal. We also have the shooter in custody,” the female voice says, now much closer than before. “You ID this guy?” the woman asks. I try to open my mouth to let them know he ran inside the apartment to the girl. “The name on the badge is Andrew Edwards, DCF Hartford,” one of the voices says. That’s me! What’s going on? Hey? Hey?